Pitcher & Piano is a modern chain bar serving beer, wine and cocktails, plus a menu of fantastic grazing plates and ravenous pub classics. 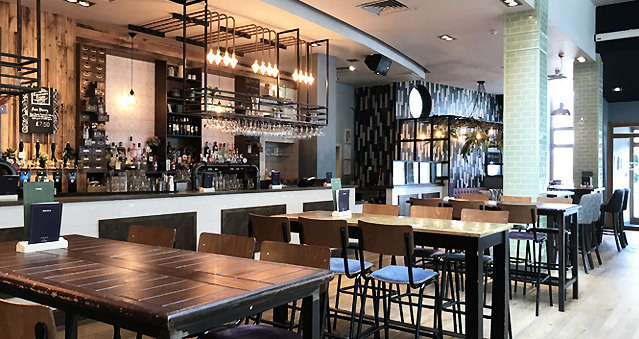 With eclectic and unusual furniture over two floors, you’re spoilt for choice with places to sit while enjoying a delicious lunch during the week; from salads to burgers, you’ll definitely find something on the seasonal menu to fill you up. If you’re heading over after work, enjoy grazing dishes with a glass of wine or premium draught beers. Weekends are for delicious house and classic cocktails, with fresh fruit and the premium spirits.